The Taos Winter Sports Team has been providing quality youth development programming in Taos Ski Valley for nearly forty years. We believe that the setting of the mountains, the support of a team, and high expectations from coaches enriches the lives of youth in the Taos community and provides stability for kids, outside of school. While teaching the essential tools to navigate the mountain safely, the Taos Winter Sports Team (TWST) has fostered a respect for the outdoors and a healthy lifestyle in members and alumni. In 1976, Taos Sports Associates, now TWST, was established as an alpine racing team. Since then, we have grown and diversified to big mountain free skiing, slope-style and snowboarding. TWST has reached a pivotal point in its history, we are bigger than ever, with seventy-two athletes, we are providing more scholarships than ever and we are ready to extend our reach further. Three years ago we received a five-year commitment from a few individuals in memory of James Herrera, which allowed us to provide 15 scholarships a year. We are grateful to be able to give the opportunity to join TWST to young kids whose families would otherwise be unable to afford it; but we want to do more. We have something great to offer and want to be able to offer it to greater numbers in our community. With two years left in the James Herrera Scholarship funding, we are launching a capital campaign to raise $150,000 to create the James Herrera Endowment to ensure scholarship funding and the bright future of TWST. 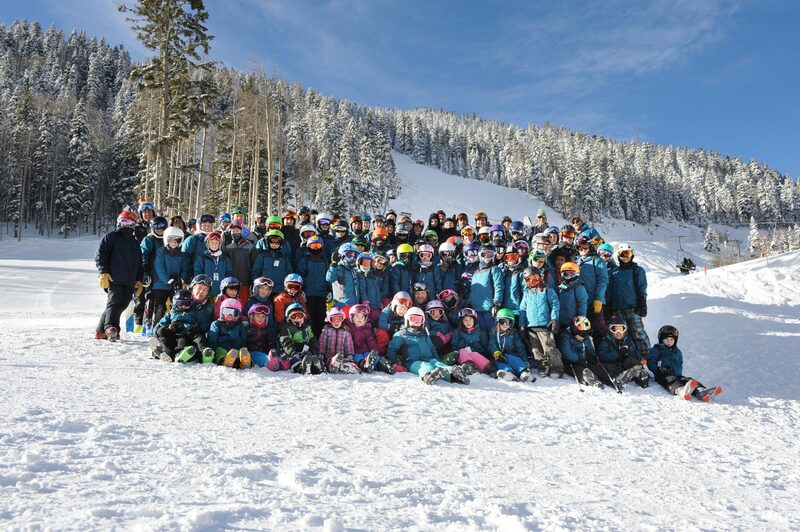 The Taos Winter Sports Team is a community-supported organization and as a part of the Taos community we are counting on you to help us reach our fundraising goal. Any donation amount will help us provide more scholarships to deserving individuals. Join us and become a supporting member of the Taos Winter Sports Team. Commitment over time – We are happy to receive donations over a longer period of time if that suits your needs. We will work with you to come up with a mutually beneficial giving plan. Car Donations – TWST works with the Center for Car Donations to accept your generous gift. They will make arrangements to pick up your vehicle, sell it at auction, and forward the proceeds to the Taos Winter Sports Team. If you have any questions, or would like to donate your car, call the Center for Car Donations at 1-877-411-3662 (be sure to tell them that the donation is for Taos Winter Sports Team! ).